February 1 marks the beginning of the fishing season for 21 of Alabama’s 23 State-owned Public Fishing Lakes. Located throughout the state, these lakes are noted for their quality fishing for bream, largemouth bass, channel catfish, and crappie (in most lakes). Because these smaller lakes warm more quickly than larger bodies of water, early spring fishing can be excellent. In addition to the 21 lakes opening in February, Fayette County Public Fishing Lake will reopen to fishing this spring and anglers can expect excellent numbers of quality-size Florida largemouth bass. More information about the reopening of Fayette County lake will be announced soon. Watch this video about Alabama’s Public Fishing Lakes! The 2018 Bass Anglers Information Team (BAIT) Report will be published soon. For your club to be included in the report, we need your catch data ASAP. As an indicator of the status of Alabama’s reservoir bass fisheries, data submitted from fishing tournaments is important to anglers and biologists alike. 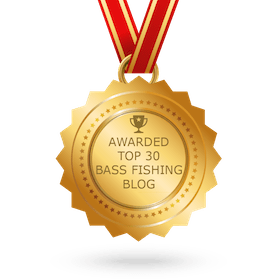 Bass club organizers, presidents, and directors can submit 2018 data and view previous annual reports at www.outdooralabama.com/tournaments. The facility features a 60-foot-wide launching slab, paved parking lot for 80 truck and trailer rigs (with both make-ready and tie-down areas), two fixed aluminum access piers, and two 100-foot floating aluminum access piers. Additionally, the new facility has security lighting and is fully compliant with the Americans with Disabilities Act. The Canoe Creek Public Boat Ramp has reopened after the launching slab was recently completed during the Alabama Power Company maintenance drawdown on Neely Henry Reservoir. Join the effort to fund aquatic wildlife management and protection by purchasing a Freshwater Fishing license plate for your vehicle. Available now at your local probate office. For more information call, (334) 242-3471.